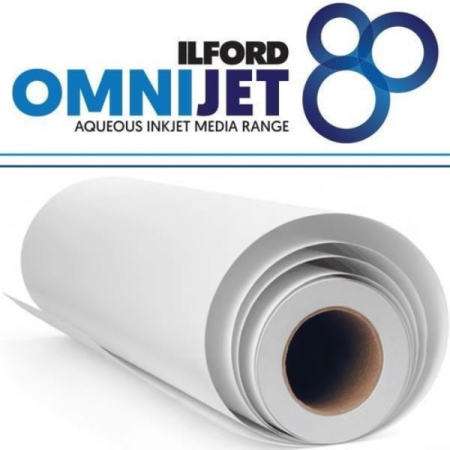 OMNIJET Photo RC Papers are high performance inkjet papers that offer superb imaging performance, quality and consistency across a range of weights and surfaces including Glossy, Satin and Pearl. Utilising the latest coating technology, Photo RC papers are specially designed to be compatible with both aqueous piezo and thermal wide format printers and with dye, pigment and latex inks. They have a consistent base tint so there is no need to recalibrate your system if you switch between weights or surfaces and with a 3” core there is no requirement for a core adapter. With the benefit of being touch dry* straight from the printer, Photo RC Papers can be used consistently, day after day, at high production speeds and across multiple printer platforms to save you time and materials. *Photo RC Papers have an instant dry ink-receiving layer. As with all other instant dry inkjet papers, lamination of the image is recommended for optimum print life.